Inflammation is the root of all disease. These are the words that have been shocking the health world since its theory was first discovered. Not surprisingly, the developed world has shown an incredible amount of interest in ancient foods that hold great healing properties. Turmeric is just one of those foods that has taken over health food stores across the nation. So exactly what’s all the hype about with this golden powder, and how can it benefit your life? The first use of turmeric as a healing medicine, is thought to have been around 250BC, in the stunning highlands of Nepal, India. Etchings were found of ink and watercolor printed on palm leaves, which was the first Ayurvedic Medical text ever discovered. In this text, turmeric was recommended for the relief of food poisoning. Turmeric then went on to be used across India for the treatment of multiple conditions including the relief of arthritis, liver disorders, to purify the blood and eliminate worms. While turmeric was an important feature throughout the Middle Eastern Spice Trade over 4000 years ago, it wasn’t until the early 1990’s that the Western World finally hailed turmeric as a true healer, with its popularity increasing ever since this time. So you could say that we here in the West, took quite some time to jump up and down in joy, at the incredible health benefits that turmeric offers. But it does prove just how dramatically different Eastern and Western Medicine have been throughout history. 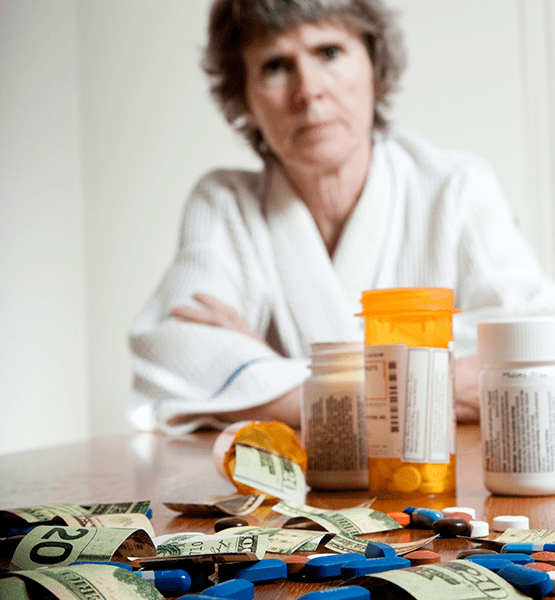 The Rise of Chronic Disease. Looking at what’s on offer on many supermarket shelves these days, you’ve probably noticed an overload of refined foods with very little nutritional value. This is a result of food companies loyally keeping up with our demand for longer shelf life, great taste, and foods of convenience for those leading busy lifestyles. Sadly, in a recent study across one city’s supermarket foods in New Zealand, revealed that 84% of supermarket foods were ultra-processed and could bear no resemblance to their original ingredients. Comparatively, the Ancestral human diet contained a lack of foods that could be linked to the risk of inflammation. In other words, we are largely consuming foods that are foreign to the human body. But just because much of the population are eating these foods, doesn’t mean it’s the norm. Along with other mounting factors of our modern day lifestyles, such as stress, environmental pollutants and the overuse of antibiotics, diet has been recognized as playing a key role in creating excess inflammation in the body. While inflammation is a completely natural response system in our body, that helps to protect us from disease and unknown pathogens, the above factors all have the potential to confuse that response system. When the inflammatory response system is constantly switched on, it can become overburdened and turn on itself, which is just where disease is borne out of. For that reason we have seen a huge rise in autoimmune diseases, heart disease, cancer and asthma, among many more serious conditions. That’s where a strong focus has been given to our diet, and the direct role it plays in inflammation. With science revealing that 80% of your entire immune system is located in the gut, it stands to reason to take care of your gut, in order to maintain optimal health. You’ve probably noticed that specific anti-inflammatory foods have saturated the health world; turmeric being one of them. It’s becoming more and more important to focus on foods that not only contain a high nutritional value, but also fight inflammation. Less inflammation in the body means less pain. Significantly suppress cancer cells due to its anti-inflammatory effects. This includes studies undertaken on breast, oral, stomach and skin cancer. Halt the progression of salmonella strains in specific controlled studies. Lower oxidative stress in animal studies. Effective against cardiac and kidney disorders, including offering significant cardio protection and quicker recovery. Inhibits joint inflammation and destruction in sufferers of arthritis and in turn levels of pain. The burdens of modern day life create free-radical damage within the body. Much like the inflammatory response system, free radicals are also completely normal. However, they are unstable molecules meaning if you have too many free-radicals floating around, and too little antioxidants, that’s where the trouble begins. Defence systems begin to dysfunction, disease forms and the ageing process accelerates. Antioxidants stand strong against the fight of free-radicals. Looking at just how experts measure the potency of antioxidant levels in foods, a scale was created called the ORAC Scale (Oxygen Radical Absorbance Capacity). This gives a certain measurement by units, the higher the better. Turmeric holds an impressive score of 127,068. Comparatively, popular supermarket foods such as frozen pizza is between 80 and 160, and beef steak just 10. This high reading of antioxidants helps to understand a huge spark of interest from scientists examining specific properties, and turmeric’s ability to put up a defense against some very problematic diseases. While a focus needs to be given on general nutrition within your diet, along with the reduction in stress and other burdens, turmeric certainly goes a long way in protecting you from disease. 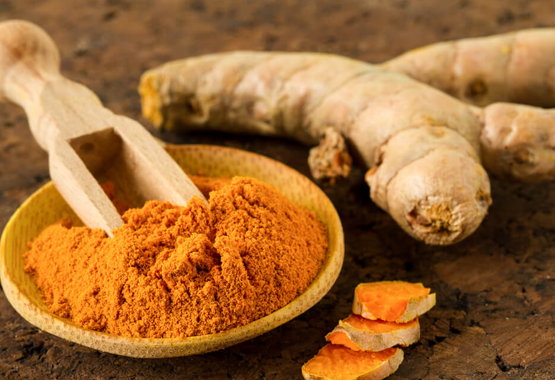 Of most importance, turmeric plays an important role in addressing the underlying condition of many diseases, by helping the body restore its own defense systems naturally and reduce overall pain. It has proven time and time again, that it significantly reduces inflammation and also protects healthy cells against damage. For that reason, we are in an exciting era where ancient medicinal foods from the East are gaining huge respect here in the West.